Traditional medicine is a source of much political and legal conflict in South Africa. It’s a label that covers our local cultures’ herbalists, exorcists, diviners and midwives. But there are problems caused by shady characters who abuse the trust of their victims. Despite the problems, the roots of traditional medicine run deeply from Mzansi’s past into its future. The benefits of and problems with traditional medicine stem from the lack of regular healthcare services in mainly rural areas. It’s these places that herbalists, midwives and others fill the healthcare gap with old knowledge and treat ailments such as gout, arthritis and more. 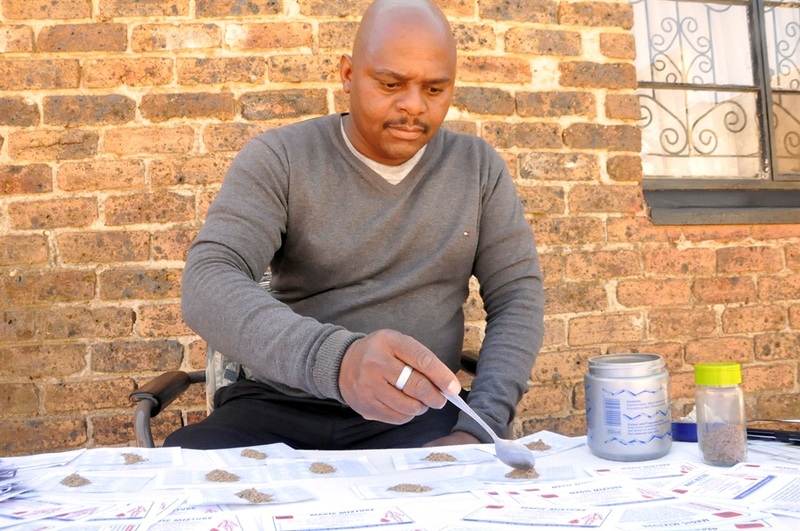 As part of Traditional Medicine Week, which ends on 31 August, SunHealth spoke to Russel Mamatho, a herbalist who hails from Tshamutilikwa Village in Venda but now operates in Diekloof zone 3. “Traditional medicine comes from family elders. It was my father who taught me how to mix and cure different medicines. I continue his craft and supply three shops around Joburg. “People should not die without passing on the secret. It must travel from generation to generation. “The plants may be gathered in the wild or bought raw or prepared from herb sellers or other traditional healers. “But quality can vary, depending on the season, geography and plant stock. I mostly get mine from the place in Limpopo where I grew up and learnt the skill. Thomas Baloyi, who is a client from Limpopo, said: “I’m happy that I can find herbs for my problems when I need them. “I don’t get the same comfort from the medical clinics I visit for my arthritis. The pain stays away for a long time when I take the herbs. Jabu Dube from Zola, Soweto, said: “People in rural KZN and elsewhere rely on herbal medication to treat some of their problems and illnesses. “But because traditional healers and herbalists have moved to big cities like Joburg, the remedies travelled with them, too.